The local Army Emergency Relief fund kicked off its 2012 fundraising campaign March 7 during U.S. Army Garrison Stuttgart’s monthly tenants meeting. Army Emergency Relief is a private non-profit organization that provides financial assistance to Soldiers, active and retired, and their families. The Army conducts the annual AER campaign March 1 through May 15. Its purpose is two-fold: “to heighten awareness of the organization’s programs and services, and give Soldiers an opportunity to help their fellow Soldiers through voluntary contributions,” said Faith Barnes, the Army Emergency Relief officer for USAG Stuttgart. In 2011, Army Emergency Relief provided $77.5 million in assistance to more than 64,000 Soldiers and their families. Within the Stuttgart military community, AER assisted in 59 cases, providing more than $85,000, according to Barnes. The cases weren’t necessarily all Soldiers. A reciprocal agreement allows Army AER Offices to assist personnel from all branches of service, Barnes said. AER provides emergency financial assistance in the form of no-interest loans and, in certain circumstances where there is significant financial hardship, grants, according to Barnes. There is no limit to the amount of assistance, in most cases. “Assistance is based on need. While no two situations are alike, but we try our best to find a way to say yes” Barnes said. Under the streamlined Command Referral Program, company commanders and first sergeants have the authority to approve AER loans up to $1,500 for their Soldiers. Financial help is available for food, rent or utilities, emergency transportation and vehicle repair, funeral expenses, medical/dental expenses, and personal needs when pay is delayed or stolen, according to the AER website. Earlier this year, AER announced several new categories of assistance, to include family member dental care. Eligible care includes diagnosis, fillings, crowns, root canals, extractions, sealants and emergency care to alleviate pain. The limit is $4,000. AER also provides scholarships to children and spouses of active duty and retired Soldiers, as well as financial support to widows and wounded warriors. To make a donation to Army Emergency Relief, see your unit key person or visit www.aerhq.org. 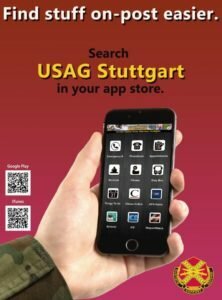 To speak to the USAG Stuttgart AER Officer, call 431-2085/civ. 07031-15-2085, or stop by Army Community Service, Building 2915, Panzer Kaserne.